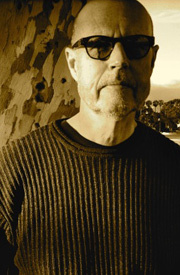 Kem Nunn is the author of six novels, including the National Book Award nominee Tapping the Source (1984) and Tijuana Straits (2004), which won the Los Angeles Times Book Prize for Best Mystery / Thriller. He also wrote The Dogs of Winter (1997), Pomona Queen (1992), Unassigned Territory (1987), and Chance (2104). In addition to novels, he writes screenplays for television and film, most notably John from Cincinnati, which he co-created with David Milch. He also wrote Deadwood and most recently Sons of Anarchy. His articles and book reviews have appeared in Rolling Stone, GQ, Surfer, The New York Times and the Los Angeles Times.